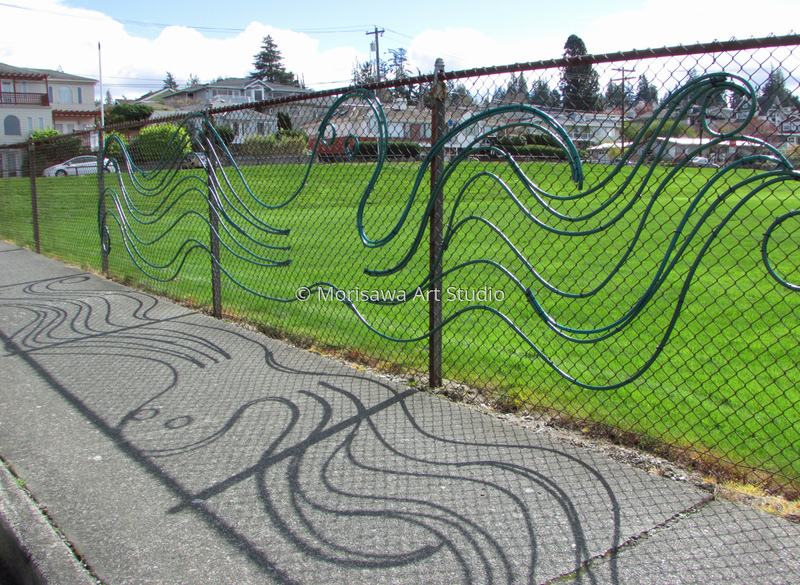 At Anderson Center Playfield, Edmonds Main St. This work is also for our friend Ms.Charlie Peterson. You can view/ visit these outdoor installations from the Heaven easily, without driving. How do you like it? We always remember your kind heart/ lovely smile. Rest in peace.